Senior White House official says plan will be presented by mid-June, exact date still unclear. 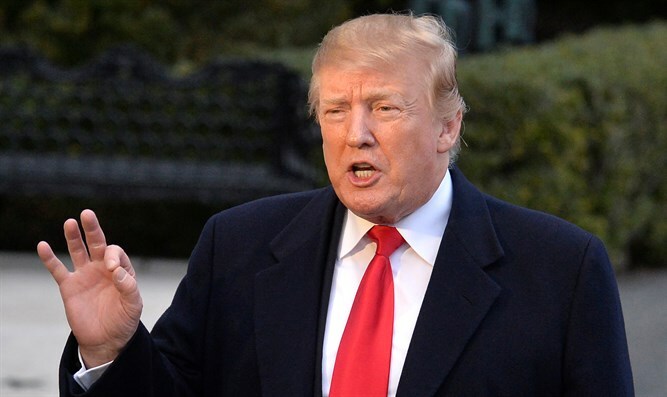 A senior White House official on Monday night said that US President Donald Trump's "deal of the century" will be presented by mid-June, News 13 reported. However, the source warned that the exact date will be influenced by the results of Israel's elections and the makeup of the next coalition. The source also said the date will take both Pesach (Passover) and Ramadan, as well as other national holidays, into account. Last week, the Arab website Al-Khaleej Online reported that the plan would be unveiled on May 15, the date on which the Arabs in Israel mark the so-called "catastrophe" of Israel's establishment. The deal is expected to include land swaps between Jordan, Saudi Arabia and Egypt and economic aid to Palestinians by Saudi Arabia and the United Arab Emirates. The deal also includes a plan to lay a pipeline from Saudi Arabia to the Gaza Strip and to build refineries in Gaza to add jobs for the residents and, in the future, even the construction of desalination plants.